You can upload on InStream any file you need. This option makes sharing files with your coworkers easier and helps you keep all your data in order. There are two different ways to upload files on InStream. 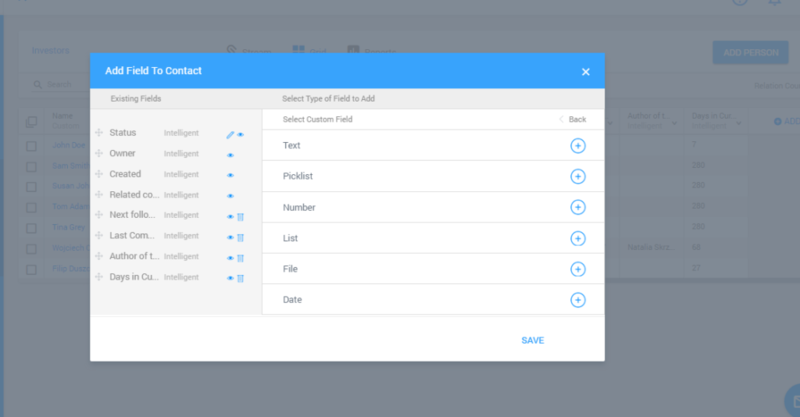 Open the Grid View and click on the heading of a column to add a new custom field. Then choose the File from the list. Enter the name of the field which will appear as your custom field. You can also add a File field on the Contact Detailed View. 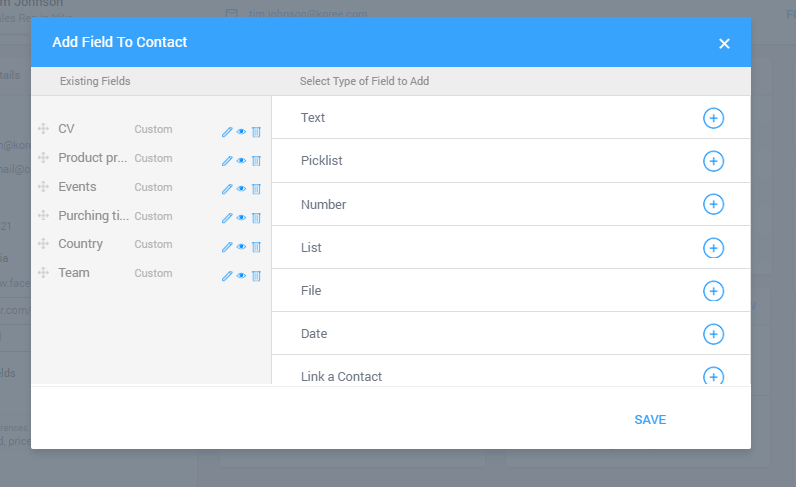 Open the contact detailed view and click on the Manage button next to the custom fields. 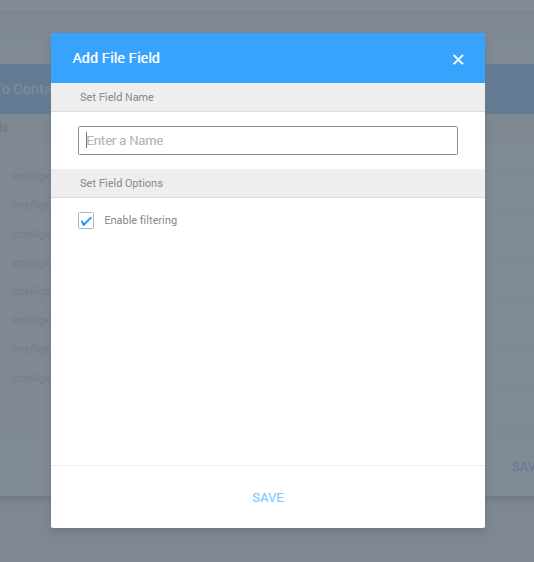 Add new custom field – file. Then, enter a name of the file field and click save. The new custom field will appear on the Contact Detailed View.